Since writing blogs for the School of Natural Health Sciences I have become fascinated by the world of holistic therapy and its incredible value to our overall wellbeing. My previously somewhat conventional, limited and, I suppose now I would say, ignorant viewpoints have been altered and expanded into a more varied, openminded version of what it means to be well, how to maintain this status and how to go about treating ourselves as unique individuals. Every person is a whole, an entity, rather than a series of isolated problems or illnesses to be extinguished with chemical drugs. There are countless other methods with which we can treat ourselves, but to get to know our bodies properly first seems to be the key. A holistic practitioner will investigate your mind and body, emotionally as well as physically, whilst taking into account any ailments or issues. To analyse and understand why someone is off kilter should be the initial outcome of a diagnosis, and there are countless non-intrusive therapies available which can begin a healing process or simply maintain a state of wellbeing without the need for conventional medicine. Not only has the School of Natural Health Sciences (SNHS) given me more insight into the holistic therapy world as a concept, but I have been inspired to take a range of their courses in order to expand my knowledge further and potentially help others to do the same. The courses are not limited to existing practitioners, everyone is welcome no matter what level, yet on successful completion you are qualified to work as a practitioner/therapist and so a great number of SNHS students have become proficient practitioners in more than one field. To mark their achievement at having reached 21 years in practice and with over 30,000 students on their register, SNHS has published an E-book on Holistic Therapies. 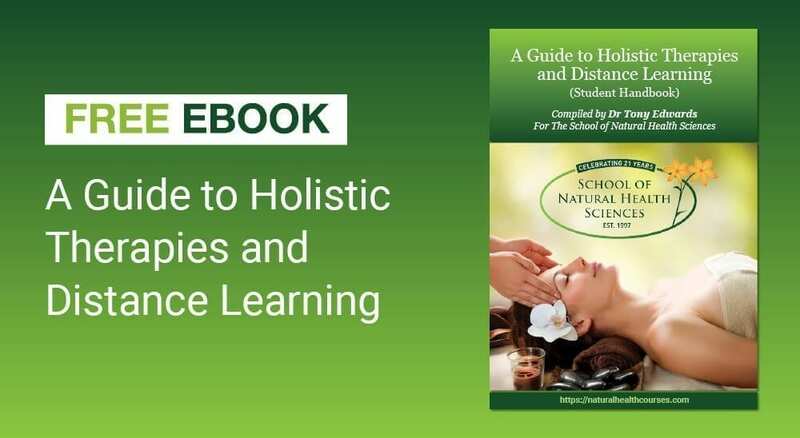 In this Guide to Holistic Therapies and Distance Learning you will not only discover the school’s wide range of accredited professional training courses available on-line but you will also gain valuable insights into the world of holistic healing. The E-book is compiled by Dr. Tony Edwards who holds professional qualifications in Naturopathy, Nutrition, Psychotherapy, Clinical Hypnotherapy and Energy Therapies. Dr. Edwards has devoted the greater part of his life to complementary medicine and holds many fellowships in the holistic world of natural and alternative medicine. 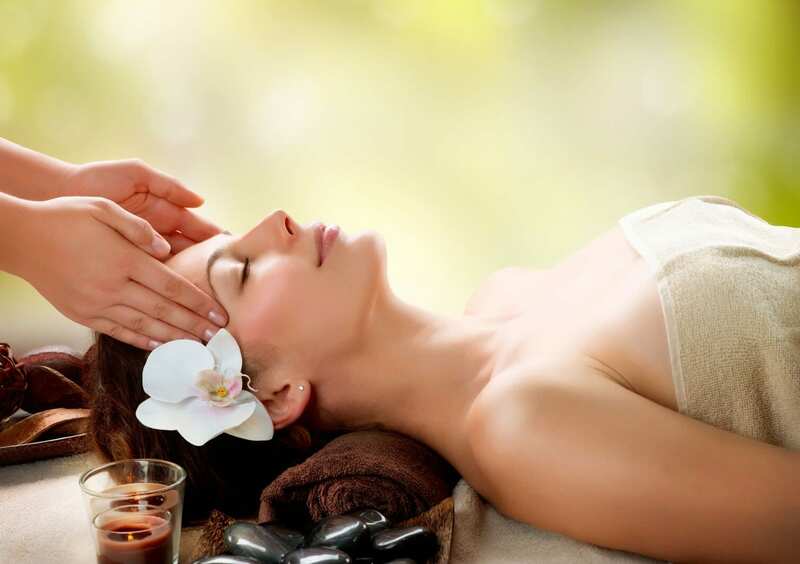 The rise in popularity of Holistic Therapies has made the SNHS website a golden place of opportunity for holistic practitioners, and any one else who feels like delving further into the world of alternative medicine and broadening their horizons. You are then given an insight into distance learning and what that entails, followed by a comparison between self-studying and tutored studying methods to help to make an informed choice as to which would suit you best (both are offered on most courses), as well as useful tips to help you decide on your courses, starting up a holistic therapy business, and time management. Every element of human life, inside and out, is covered in the school’s extensive wealth of information which I can assure you, no matter how you come to use it, will change the way you approach and deal with life and others around you. If you are interested in wellbeing for yourself and others, interested in learning about the human body, wellness, and anything which could help and optimise our existence naturally then I strongly recommend reading this E-book and see where it leads you. Oh and to make it even better – it’s FREE! You can download the E-book completely free of charge on: Amazon, Smashwords or Kobo. You can also download a PDF version of the book, if you prefer.